Two local Youth Bowlers from the Virginia Peninsula USBC Bowling association participated in the 2014 USBC Youth Open Championships which took place July 10-27 at Thruway Lanes in Cheektowaga, N.Y. bowling in the U 15 division. Singles event Dawson Maier scored 504 to come in 73rd Place and Shawn Stacy Jr. rolled 497 to finish in 82nd Place out of 192 competitors. In TEAM event Shawn Stacy Jr. and Dawson Maier, both from Hampton were teamed up with Michael Vasek (Dallas, PA) & Charlie Witchzak (Wilkes Barre, PA) to compete rolling 1941 to finish in 14th Place with a scratch score of 1941 with 45 teams in the competition. All Events finds Dawson Maier in 47th Place with 1557 total pins and Shawn Stacy Jr. with 1,498 pins total for 64th Place out of 165 competitors. This entry was posted in Uncategorized on July 30, 2014 by Virginia Peninsula USBC. What is a Center Representative? Center Representatives, what are they? Do I have one? – What’s their name? – What do they do? That’s a lot of questions, lucky we can turn to the Virginia Peninsula USBC Operations Manual for an answer. 1) Make personal contact with the proprietor and league officers. 2) Promote USBC membership with the proprietor and league officers. 3) Encourage and assist leagues in certification (verify with the Association Manager) prior to the USBC deadline. 4) Attend League organization meeting, explain bonding, new USBC rules, awards programs,dues, etc. 6) Resolve league problems and rule disputes if possible. If unsure of correct answer advise the league you will contact the Vice President responsible for that center for assistance and in a timely fashion reply to their concern/question. 7) Wear suitable attire, VPUSBC shirt and/or jacket when attending meetings or presenting awards to membership. 11) Personally present USBC awards (300 Rings etc) and association awards (700 series etc) to the bowlers. 13) Keep a list of all league offices (name, phone number, email address) for the center that you are responsible for. Get copies of each leagues rules and bylaws for presentation to the USBC Rules Committee. Well in a nutshell your Center Representative are there to serve you the bowler, to assist your league officers and the center manager/proprietor, they represent the Virginia Peninsula USBC on a one on one personal level. Each of our centers have at least two (2) Center Representatives , your most likely to meet your Center Representative at your annual league organization meeting to iron out your league rules/bylaws, they should introduce themselves, tell you about any USBC rule changes, inform you of events, tell about the VPUSBC Awards Program, up coming local and state tournaments and give your league officers his/ her contact information and, if allowed, stay to the end to field any questions or concerns you may have. Center Representatives should have a working knowledge of the USBC Rules, be up to-date on assoc iation events, tournament and meetings, they should attend the Board of Directors meetings regularly, know who is the chairperson of the various association committees and have a basic knowledge of the USBC / VPUSBC Youth Program. A C enter Representative does not necessarily have to be a member of the Board of Directors, they can be a volunteer, a past member of the Board with knowledge of the responsibility of a Center Representative, they can be permanent or used to fill in as needed during League Organization meetings when there are conflicts of time and locations. If you don’t know who your center representative are you can find them on the association website http://www.vpusbc.com under the ASSOCIATION INFO tab. The bottom line is if you have a question, concern about rules or just need information about an event that your league officers can’t answer they should contact the center representative, they are there to assist you. Once the 2014/2015 Center Representatives are published we will update the association website to reflect those changes if any. *NOTE: Center Representatives are also known as Center Reps, House Reps and sometimes as Lane Reps. 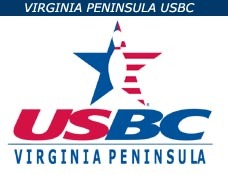 This entry was posted in VPUSBC, VPUSBC NEWS on July 30, 2014 by Virginia Peninsula USBC.